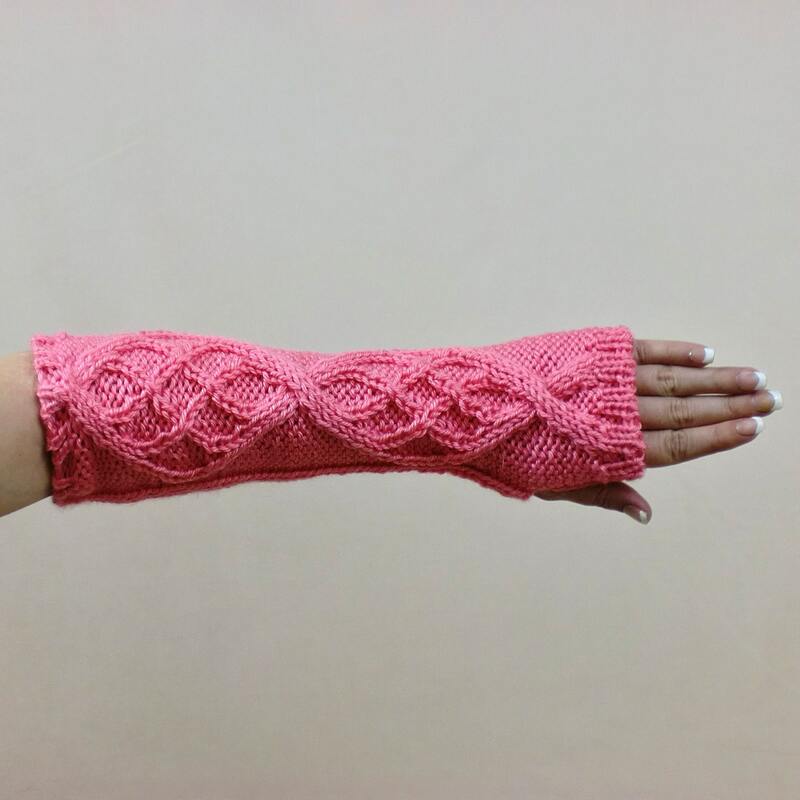 These Fingerless Gloves are hand knit in soft peach yarn, and extra long for warmth and comfort. These long arm warmers have a cable pattern, and ribbed cuff. Who says warm can't be stylish? Be the first on your block or at your office to sport a pair. Love the warmth of a glove? Hate the loss of manual dexterity? These gloves solve the problem. These gloves measure 13 inches long and should read the elbow of most women. Custom orders are available for longer, shorter or different color gloves. As always, free shipping within the US and Canada! Folksy :: Buy "Fingerless Gloves/Mitts/Handwarmers/Wristwarmers - Pink and Grey." Folksy :: Buy "Sweetie Aran Cable Twist, Hand Knitted Handbag."